Is Your Audio System Ready for the Holidays? The holidays are always a busy time of year. Family gatherings, shopping, traveling, cooking, and social events take up a significant amount of time and effort. For many people, it’s often a stressful time too – but it doesn’t need to be. Amid all this blur of activity, one way to keep calm and relaxed is with music. There’s nothing like music to set a mood, rekindle pleasant memories of holidays past, entertain guests, and make activities like wrapping gifts that much more fun. One of the best ways to enjoy holiday music is on a whole home audio system. With whole home audio, every room in your entire home can be ringing in the holidays with a favorite tune – or a different one in every room! Read on for some recommendations on shaping up your audio system this holiday season. SEE ALSO: Does Your Audio System Need a Boost? Are you still relying on that 300-disc carousel as your audio library? There’s definitely nothing wrong with that; CDs still offer excellent quality. But some new products and systems make it very easy to pull up any music you care to listen to and play it anywhere in your home. One such product is from Sonos. Sonos wireless speakers and soundbars can all mesh together wirelessly to create a whole home system. The intuitive Sonos app integrates all the major streaming music services like Apple, Spotify, and Pandora, and makes it easy for Dad to listen to White Christmas while fixing the tree lights in the family room while Mom bakes to the tunes of Jingle Bells in the kitchen. If your house is large and you want everything in your system integrated, there is a wide range of architectural speakers that can provide pristine sound quality while hiding discreetly in your walls and ceilings. Built-in speakers from Revel offer audiophile sound quality without cluttering your décor. If you like Sonos’ ease-of-use, their Connect and new Amp products are easy to integrate into whole-home systems with architectural speakers. If your tastes run more to the audiophile range and you want higher quality solutions, music distribution systems from our home automation partners Crestron and Control4 can scale up to the needs of the largest Westchester County mansions. These systems offer complete packages of speakers, amplifiers, and controllers that can stream music from your own library (like iTunes) as well as all the popular music services. These systems are compatible with High-Resolution music tracks and are be easy to control through a smartphone, a dedicated touchscreen, or a more traditional AV button remote. Perhaps the best part of streaming with whole home audio is how easy it is to find just the right holiday music. To that end, we’ve picked out some streaming playlists that will get you in the holiday spirit. Just think of how good they will sound in your home, playing in any room you choose. 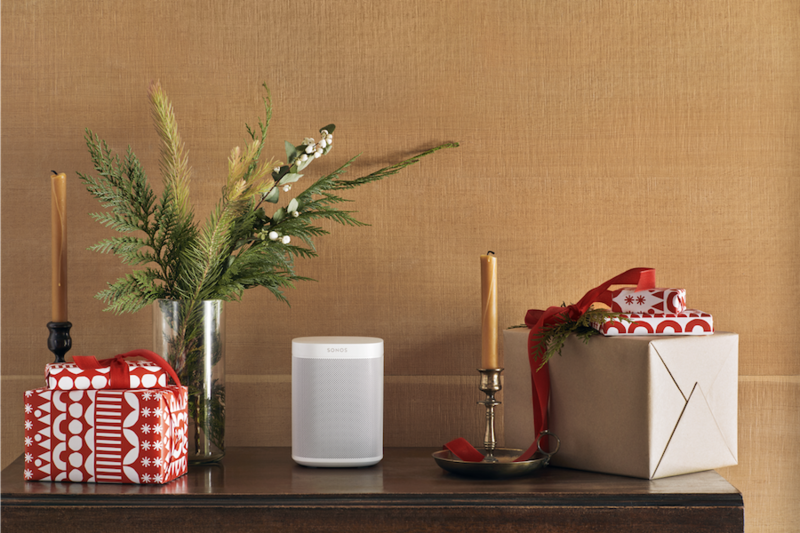 Are you ready for whole home audio for the holidays? Give us a call or fill out our online contact form to schedule an appointment with one of our audio experts.